The majority of people on the web are talking about how Apple is getting ready to send the iPhone to Verizon, and that Apple and Verizon have been working closely to make this happen. The iPhone / Verizon marriage has been talked about so much that we are forgetting some other key factors at play here. Just because the iPhone (Apple) is breaking their exclusivity with AT&T doesn’t mean that Verizon is the only carrier at the table who can serve up the iPhone. What’s preventing Apple from sending the iPhone to T-Mobile, Sprint, and other major carriers? I mean, once the agreement is dead with AT&T, why would Apple stop at just offering the iPhone to Verizon? All you have to do is look Android powered phones to know that offering a system where your phone can be managed on multiple carriers is just good business. The reason the iPhone can break away from the AT&T network is because of technology called CDMA. CDMA is used by Verizon Wireless, as well as Sprint Nextel Corp. and a handful of cellular operators in countries including South Korea and Japan. It’s because of this “more than just Verizon” aspect of CDMA that I believe Apple might be looking far beyond just the Verizon network. After all, Apple is trying to find a way to compete with Android powered devices. And Steve Jobs might be realizing that more exposure and more carriers makes business sense. If there are rumors about Verizon getting the iphone (or any other CDMA carrier) its because hack jounalists are spreading them. If you read the public comments from Verizon CEO they are clearly still pining for the iphone and trying to appeal to Steve Jobs ego by saying its completely in Apples court. Doesn't matter. CDMA = NO IPHONE. PERIOD. It's not hard to make a CDMA version of a phone. A lot of phones come in GSM and CDMA versions. AT&T's service is THE worst service I have ever experienced in 10+ years of having cell phones. Verizon has been THE best and quite a contrast to AT&t's overloaded, slow, sparse service. Steve Jobs knows a lot of people are going with Droid's and HTC's solely because of AT&T's dreadful network. 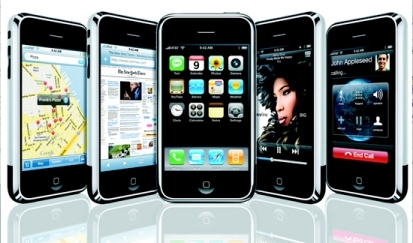 The nominal cost of making a CDMA version of the iPhone would more than pay for itself. If Verizon gets the iPhone; say goodbye to surfing the net while on a phone call. It is physically impossible to surf the web while on a phone using verizon. Their service is dual band, meaning you can only do two things at once (either talk and listen to someone else or upload/download). ATT has quad-band (upload/download-talk/listen). Though ATT isn't great, they are the best carrier of quad-band. A Verizon iPhone would HAVE to be a dumbed-down version of what we already know. I don't know what all the fuss is about. I have had my iPhone for about 9 months now and I love it. I love the service and I love everything about it. I like in a metropolitan area and I always have service, I do get dropped calls every once and a while but it isn't any more than I would have with Verizon or Spring, both carriers that I have previously has. Although I hope it does go to verizon, there will be more competition and drive the price down of the service and possible even the phone. My husband bought me an iphone for Christmas last year. It was beautiful while we were at our old house, but we moved a month ago and there's EXTREMELY LIMITED network at my new house. I can't use the phone in the house except for a few spotty reception spots. I've missed calls from my daughter's preschool, dropped calls with the hospital, etc. I hope Apple will partner with Verizon. Will definitely go back to our verizon family plan if they offer iphone. Heck the penalty for early subscription termination.